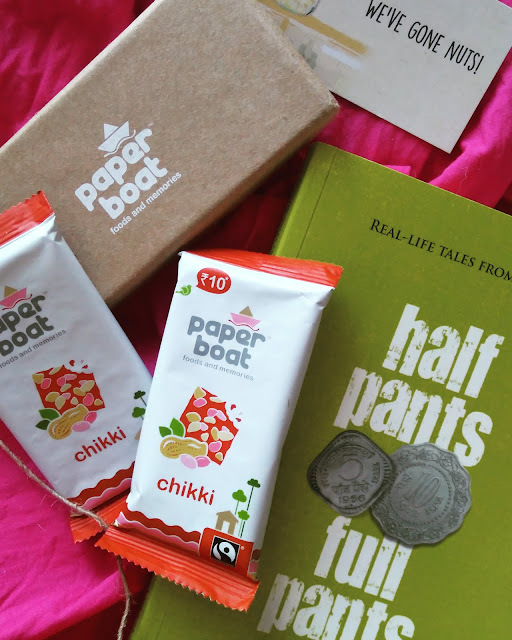 Fit Foodie Megha: Paper Boat Peanut Chikki and Half Pants Full Pants Book — Reviewed! 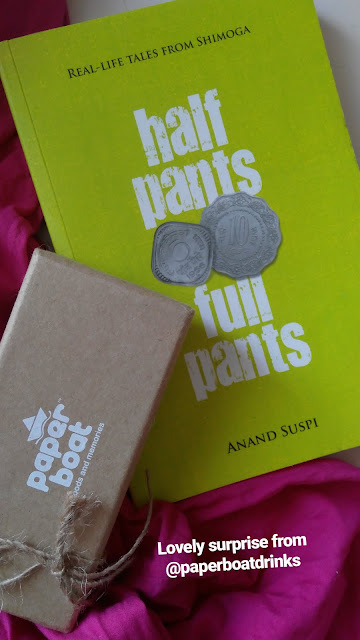 Paper Boat Peanut Chikki and Half Pants Full Pants Book — Reviewed! 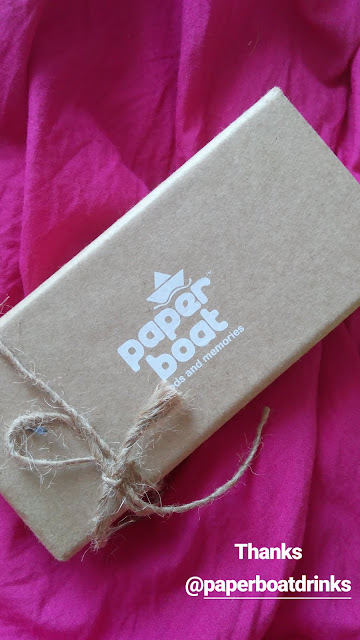 I am absolutely in love with the concept of Paper Boat. They have an ability to take us on a journey of going back in time and bringing some traditional inspired liquids. Drinks, that are delicious and is the outcome of generations of trial and error. Every drink, cartoons, books are inspired by childhood memories. Drinks like Thandai, Aam panna, Guava, Mango are very close to our hearts but recently these are replaced by aerated drinks leaving our traditional drinks behind. Paper Boat strives hard to keep those memories alive. They have come up with their first food product – Peanut Chikki. It is truly Indian quick ethnic snack with perfect sweetness, crunch and crispiness. Priced at just Rs.10, Peanut Chikkis are a small packet of happiness. Apart from the food and drinks, Paper Boat strongly believes in the ability of stories to transport people - sometimes to another world. Paper Boat have also launched limited edition of books like The Jungle Book, Half Pants, Full Pants which have the stories from our best selves, stories which are innocent and are nostalgic. We all have known the story behind the Jungle Book, but Half Pants, Full Pants by Anand Suspi is his debut collection of short stories about a little boy growing up in Shimoga. This book is all about the nostalgia of memories we all have grown up with. Be it watching TV for the first time or the joy of using Mixer. It manages to bring a smile on your face throughout. Every story, every experience you read will transport you to back in time and you will be bound to think, "Oh! this happened with me too". The book is a breathtaking collection of classic stories which you will want to pass on to the new generation. Amazing collection. The book is easily available on Flipkart.